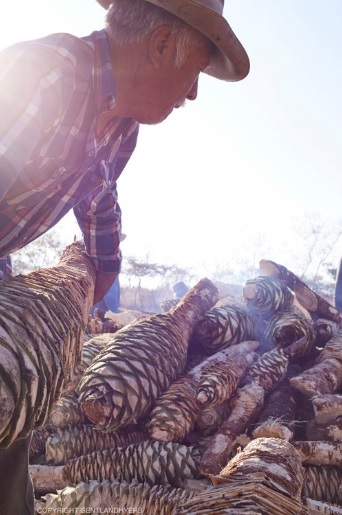 Ve directamente al fuente de mezcal traidional; conozca los productores, degusta de los mejores mezcales del mundo, y aprende sobre la rica historia de la producción de mezcal de la región. Explore the traditional cuisine of different villages of Oaxaca, learn from a local cook pre-Hispanic and time tested recipes that respect the historic taste of the region. Visit the village market to pick out the freshest ingredients, prepare a fantastic meal, and enjoy! Meet artisans who use techniques handed down over centuries. See their process, learn about their use of natural materials, and the cultural heritage behind breathtaking rugs, woven palm c crafts, and antiques of the mezcal trade. We offer custom experiences tailored to you. Let us help you create your own custom experience in Oaxaca or join us at a Fiesta Tradicional were we are invited to partake in the mole, mezcal, music, dancing, and local traditions. Check our calendar for upcoming scheduled outings.